Synopsys: Doublevision is a cinematic atmosphere, a blend between a drowning lullaby with some industrial mantra. Jury note: We chose this screendance work because it is a piece of simple movement and high sensitivity that really marries the audiovisual medium and movement. Through the body in motion, a feeling that the time is flowing is transmitted. “Doublevision” shows the result of an intense experimentation with the moving image. First of all, renouncing the narrative sense and looking for meanings that are generated throughout the reworking of recorded images. 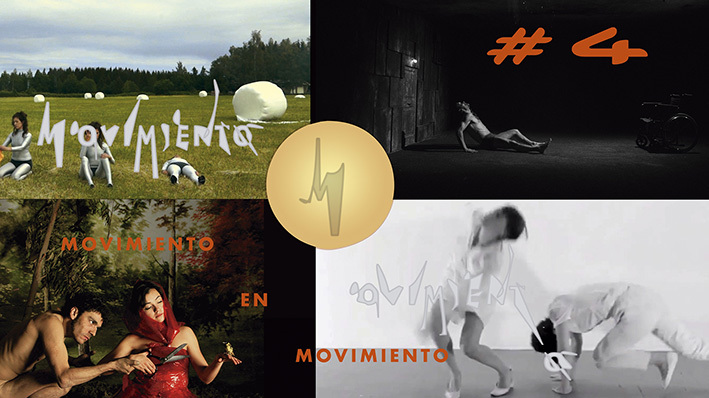 These are visual manifests that are found by the exploration of new choreographic concepts, generated with editing elements and with the renunciation of the most common languages in the screendance genre. Camera, Editor and Direction: Benito González. Inti Santamaría, Guillermo Aguilar, Fausto Jijón and Gisela Olmos. Creator: Benito González was born and grew up in Hermosillo in the 70s and 80s. Motivated by pop art and mass culture, he founded, together with Evoé Sotelo, the scenic project Quiatora Monorriel in 1992, where he has had a constant presence for more than twenty-five years, during this time he has been able to show his work in Mexico and abroad. He has a wide choreographic repertoire and has collaborated with various stage groups. His creative inquiry has led him to also experiment in sound composition, photography, video and graphic design. 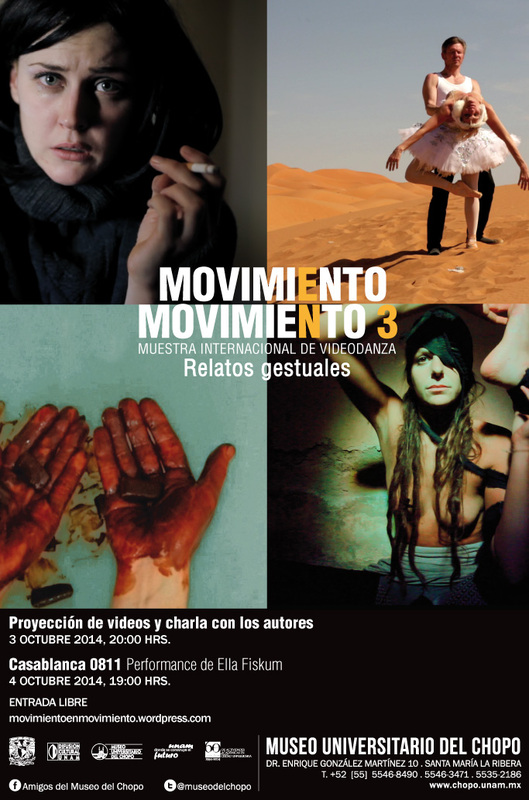 His most recent works in video have been presented in several festivals nationally and internationally. 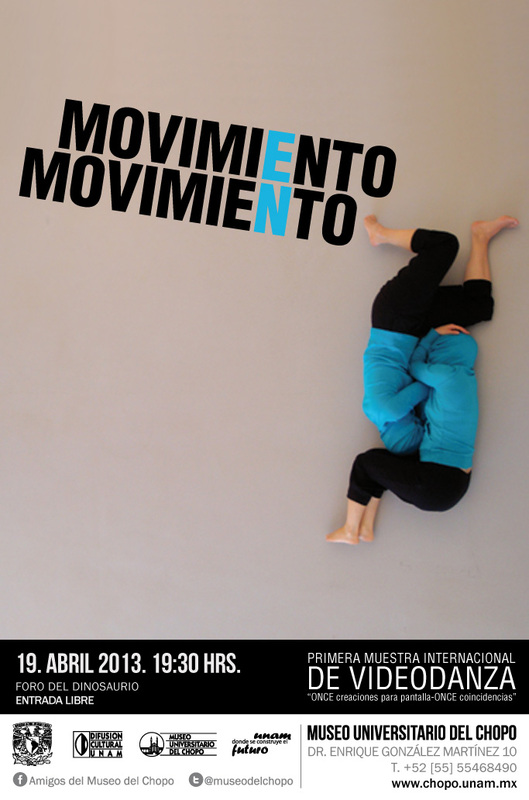 He graduated in Choreography by the ENDCC and has been part of Sistema Nacional de Creadores at FONCA in 2010. Interview to Benito González, talking about his creative experience. Filmed via long distance computer call: SKYPE.